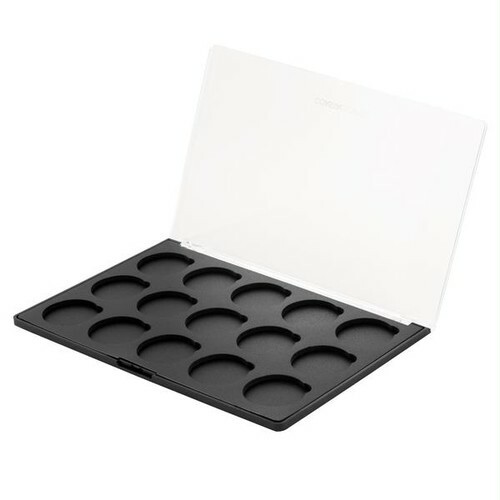 See what's inside! 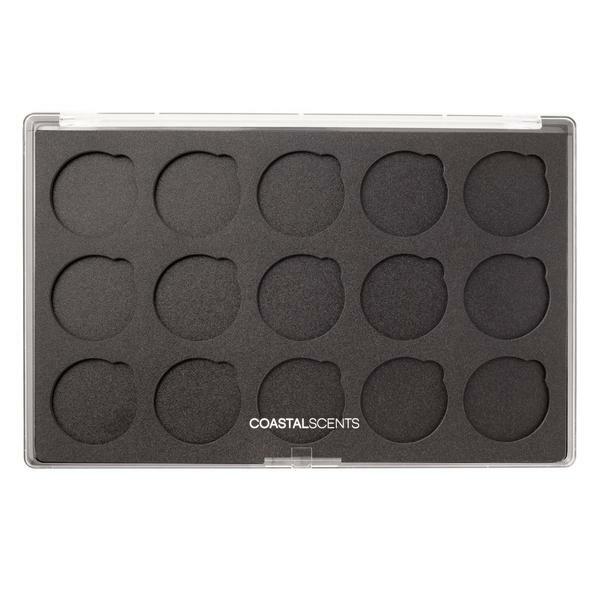 The 15 Blush Empty Palette is matte black, with a clear see through lid, for convenience and quick on-the-go touch-ups. 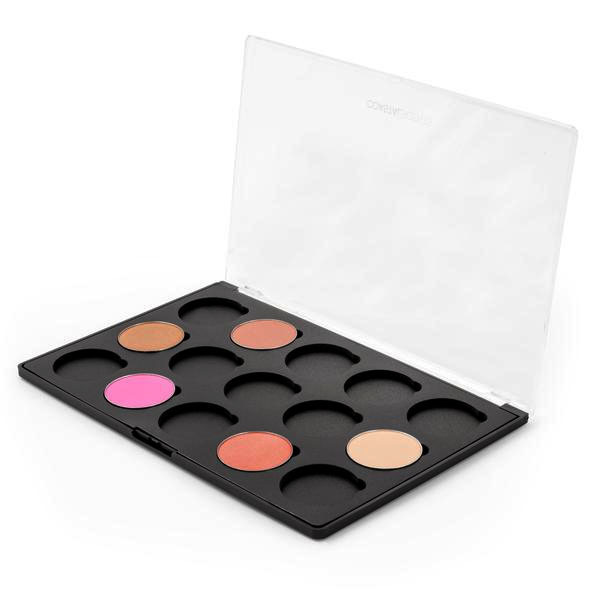 This palette also contains built in magnets that attract up to fifteen individual 36mm sized Blush Pots.